Why advertise on Jewish Australia Online? There are currently over 1 billion websites in the world. *How many hits do we get? OVER 3 MILLION HITS PER MONTH. Readers & customers in 80 countries. our happy Online Shop customers! The products that we purchased from your website were perfect for our needs, thank you. Many thanks for your help with my order. Thank you so much, it arrived today. I appreciate how quickly you sent the product. The parcel arrived in good order and arrived earlier than expected. Thank you for your prompt service. Thank you for the speedy delivery. The candles are beautiful. My Menorah actually came today and it is beautiful! Thank-you very much, I will certainly remember you next time I need to buy something! I am very happy with the dreidels I purchased from your website. Thank you for getting them to me in a timely manner. I would definitely use your website again. My kippah is great. I really like your website & have suggested it to some of my friends. I will definitely use it again. My son will be enjoying his Chanukah dreidels over the next few days. My wife also ordered a new menorah from you guys the other day which looks beautiful. We like shopping with your organisation, and the prompt delivery time is fantastic. Kind Regards & Happy Chanukah! The horseradish has arrived and it looks really good - thank you. Thank you for your email, my kippah arrived today and is outstanding. I truely appreciate the time you have put into ensuring that my delivery arrived on time and as promised. I look forward to buying more wonderful products form your online shop. Thanks very much; I was very pleased with the Kippot, thanks! And thanks very much for following up. "The reason I sought Soul to Soul and In the Cleft of the Rock was because I heard Rachel Kohn's interview with Deborah Masel on The Spirit of Things a little while ago. I was impressed by what Deborah Masel said and how she spoke, particularly about getting to the mystic layer of the text, getting under the skin of the characters and seeing the story from the inside. I am delighted to have a book which does exactly that. I was interested too in her journey through her illness. I wish I had heard of her while she was alive and teaching in Melbourne. I am an Anglican priest with the responsibility of preaching and teaching in my parish. The way that Deborah approached the texts of the Jewish Scriptures appealed to me and will be useful in my preaching. I'm likely to go looking among other Jewish teachers to find more on that approach. Aura Lipski, who handled the order was very helpful, particularly when I first jumbled the PO box number, then when Australia Post couldn't find my address and returned the books to her! When I finally received the package, there was great celebration! Though I couldn't originally find In the Cleft of the Rock on your list, Aura sourced it for me which was also excellent. Thanks for the great service! "I must admit that was pleasantly surprised and delighted with the quality of my kippah. Although my original order wasn't available due to being out of stock, the options given and the speed of the delivery was amazing. I shall continue to shop with jewishaustralia. Many thanks again." "Wearing the Kippot with great pleasure each Shabbat and evokes lots of smiles and comments from others. It was a great gift to my wife and I as a memory of our 2nd trip to Australia." "The Tallit and bag were completely up to expectation and it suits my son, who will make use of the shawl for his Bar Mitzvah this weekend. Your listing and the Tallit delivered were a good match. We judge your business service very positively. Happy to recommend you to others." "I am extremely pleased with the Dreidels I ordered. I am a Girl Guide leader of girls aged 5 to 11 and part of our program is faith awareness. We like to introduce other faith's traditions to our girls and this is one way we have done this. On the 20th December our final day for the year our program theme will be on Chanukah. We envisage not only the girls playing with the ones we have, but also making their own to take home. Thank you for them." "Thank you so much, the goods arrived today on time for Shabbat. My huge appreciation for supplying Israeli and Jewish products.I was also very impressed by the affordable postal costs and also for the quick delivery to me here in New Zealand. I will recommend Jewish Australia to all my New Zealand contacts!" "Jewish Australia Shop has a wonderful range of products which are of the highest quality. I have been thrilled with each product I have ordered and have had the pleasure of the author of one book I ordered, ringing me and it was pleasant to know I was talking to a caring person. Once again I am impressed with the range and quality of Jewish Australia." "I was very pleased with your services. The service from the Jewish Australia Online website was fast, reliable and the products that I ordered were delivered in a timely manner. I will continue to purchase products from this website in the future." "My order arrived this morning! Very happy with it, thank you so much. My mum thought it was fabulous. Thanks again." "Letting you know that I recieved the bookstand today, and its great. Just what our family had in mind. We are very happy customers - thanks so much for you prompt service and correspondence." " Fantastic service - the book has just arrived today - thank you so much." What great customer service! I placed my order for "The Stories our Parents found too Painful to Tell" and was surprised to receive it only 3 days later! Thank you so much! Wish everyone took as much care, our world would be a better place. I recommend that book to everyone - it's life-changing! " " Thank you so much for the updates as to the status of my order and the prompt and safe arrival of the book: The Stories our Parents found too Painful to Tell. I have searched for this book for some time and, happily, located your website. Now I find there are so many things that interest me on the site that I am sure I will be placing many more orders in your capable hands!" " The order was perfect. I love the beeswax candles. Healthy candles!!! Thank you!" " As a Religious Education teacher at a Melbourne Anglican School, I was delighted with the overall service provided by the Jewish Australia Online Shop. The range of items is terrific and my students enjoyed the “Show and Tell” as a selection of these were passed around the room. Congratulations on your great shop!" " Just to let you know I received my Horseradish Root and I am very pleased." " Thank you for your kind message. I can now tell you that the parcel with my order arrived today, and all items are accounted for. The challah cover is lovely and I am particularly happy with the Kiddush cup. Thank you for your prompt and friendly service!" "It’s a pleasure working with you. Thanks for all the ads through your website. In the last 24 hours since we advertised with you we had 9 entries from Australia!" Thank you so much for my book, which arrived safely this morning. I have been so moved by the story of this book, as seen on television and in the media, and shamed by my own lack of knowledge of the heroic lives that have shaped the safety in which I live. I thank you for the privilege of access to these stories, I will respect and honour the memories of those who told them. Thank you again." " 'The Stories Our Parents Found Too Painful To Tell' arrived this morning and I am so pleased that it has. My paternal grandparents lived in Bialystok before they emigrated to the states in the late 1800s early 1990s. Several great aunts lived there until the Shoah where they were murdered. I go next month to celebrate my parents' 60th wedding anniversary and know that my dad will be thrilled with the book." I received the book in the mail today in good order. I now anticipate reading the very moving story of events that never should have occurred. Thank you for looking after my order." "Dear Aura, please be advised that I received the book in the mail yesterday, 03/02/2009. In my experience of internet shopping, this was quite a prompt delivery." "Thank you so much, I received the Israeli dancing DVD & CD (prompty). It is perfect - just what I wanted, thank you so much." "What a surprise! I am glad to inform you that I received my order today, in the morning! Such a fast delivery is extraordinary - thank you." "Israel - Aerial Odyssey - Thank you so much. The D.V.D. IS BEAUTIFUL." "DVD arrived yesterday. It is extremely good. Many thanks." "The CD came yesterday and we played it last night and it is a ripper! We saw the lads on TV and hoped they had been recorded and thought if they had, a CD would be on your site......sure enough....."
"Thanks to Jewish Australia Online for prompt delivery of Hanukkah candles when we were left in short supply in Brisbane. Not only did they deliver earlier than possibly imagined, but also Aura answered my email queries with efficiency and kindness." "I received my Klezmania and Klezmeritis CDs this morning. Great bands, great musicians. Thank you for your services to me and the service you and the team offer." As a bonus, I'm picking up a lot of Hebrew of the 'turn-two-sway-sway, yemenite-right' type! Thank you so much for your friendly, conscientious service. I look forward to ordering from Jewish Australia.com again in future, and recommending you to others." 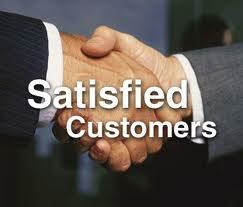 "Very pleased with the pleasant mannered and efficient service. Would definitely use it again. It's on my favourites list." "Very happy --thank you for providing the service." "I was pleasantly surprised that this book came as quickly as it did as it is only printed in Israel and I was told it would take 6-10 weeks by other stores so your service was great - we had it in a week and for no more money than others." " I got the book (and I love it). Service was great! thanks!" " The Haggadot have arrived safely and I am most delighted with them. Thank you for your kind assistance." "Thanks for your efforts to send me the wonderful CD's and book "The Bible in Israeli Folk Dances". This is a must-have package if you like both bible lyrics and beautiful Israeli folk songs. It is easy to learn the dances based on the book." "I'm very pleased thank you - prompt and efficient attention!" "Dear Aura - you can count me among your satisfied customers. The book arrived in Bangkok towards the end of last week." "I received the CD today. Your service is just...amazing! Thanks a lot"
" Item received with much thanks yesterday. Tthanks for the prompt service!" " Thanks a lot for your constant endeavours. I just want to let you know that the copy has arrived and that it looks excellent. Thanks for all your help!" "My Haggadah order arrived today. Thank you very much for your prompt service. It is really appreciated." "I was incredibly happy with the efficient service and warm and friendly response from Aura. She did everything possible to make sure my tallit order arrived quickly. Best service I have ever received." "I was very pleased to see that you carried the book, which is quite a rare edition. I received prompt, curteous responses to my needs--thanks!" Just wanted to let you know that your "by request" service is fantastic! A week or so before Hannukah I was having trouble locating the proper candles. Sent off an email to Jewish Australia Online Shop and before I knew it, the candles had arrived - and in plenty of time for the holiday. Thanks again!" "I would like to thank you very much for going to the extra effort to process this order so quickly and efficiently. I would definitely order from your on-line store again. Best regards, .... one very satisfied customer!" "I received the goods very quickly and I am very happy with the service." "This is to let you know that my order (from your overseas supplier) arrived in 8 days." "I received the video (and) I´m very surprised for the little time I have had to wait. I like the video very much, the explanations and the dances are very easy to learn and enjoy. I´m sure I will buy more of them. Thank you for your interest." "I have no words to say how happy I am.....that you tried so hard to find the book I wanted. You have such a high professional standard. Thank you." "Not only did I receive the book but I received it like 3 or 4 days after I ordered it !! I couldn't believe it.... I order on-line from Amazon and Barnes and Noble all the time and they take 2 weeks on average and they are right around the corner from my house !!! And I order from Australia all the time as well and usually it takes a month !! "Thank you. You provide a wonderful service." "Your service was fantastic and I would certainly use it again!" "I received my order today (from Israel)... Thank you for your prompt service." "Just wanted to thank you again for a fabulous job you have done for JYM - we couldn't have done it without you. You have made our lives so much easier by helping out!! I hope we can continue working together a long time into the future." on behalf of JYM - Jewish Youth Musical Theatre who sold tickets to their 5-night Melbourne production solely through Jewish Australia Online. "I was very happy with your service. All the best for future business." "Thank you for your efforts in obtaining this book from Magnes Press on our behalf. We were pleased with the service and especially your personal attention." "I wish to thank you for your assistance in facilitating the order of Last Best West, published by Hebrew University Magnes Press. It has been helpful arranging the order through you, particularly since it was my first contact with Magnes Press." "Thank you very much for all of your help. I was happy with your service and your fast response." "Our book order from Jewish Australia Online was processed promptly and we are very satisfied with this service". "We are very pleased with the service from Jewish Australia Online. All our orders were dealt with promptly and efficiently." "You give an excellent service. I am impressed that you are caring enough to be sure that I receive the books on order as promptly as can be done considering the distances. "My book arrived....in good order....and I can't wait to start it. Thanks for your concern." "Thank you so much for all of your help. I am truly grateful. ....again, thank you so much for everything." "Thank you, I received "Breaking Ranks" by Ben Black promptly and in good order. I am....certainly...satisfied with your service."